Jacket has never been worn. It is in perfect shape and it’s perfect for the spring and summer. 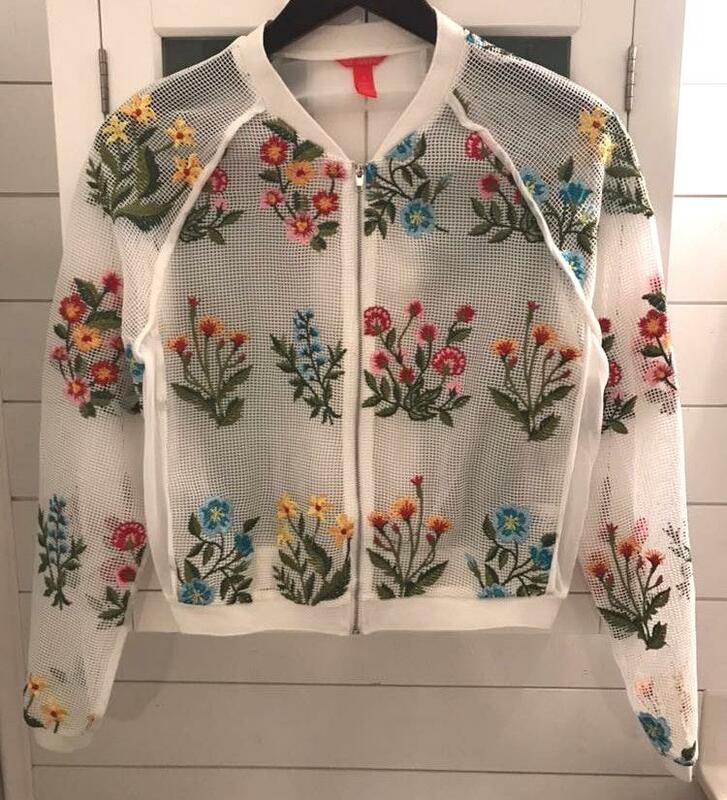 The floral details on the jacket so cute.